Get photographed by one of the best Dallas wedding photographers! It's an artful and fun experience to be photographed by Dallas-Fort Worth wedding photographer Igor! He passionately creates artful images and captures unique candid moments for discerning clients in DFW, Texas and for selected destination weddings. You love story deserves only the very best. 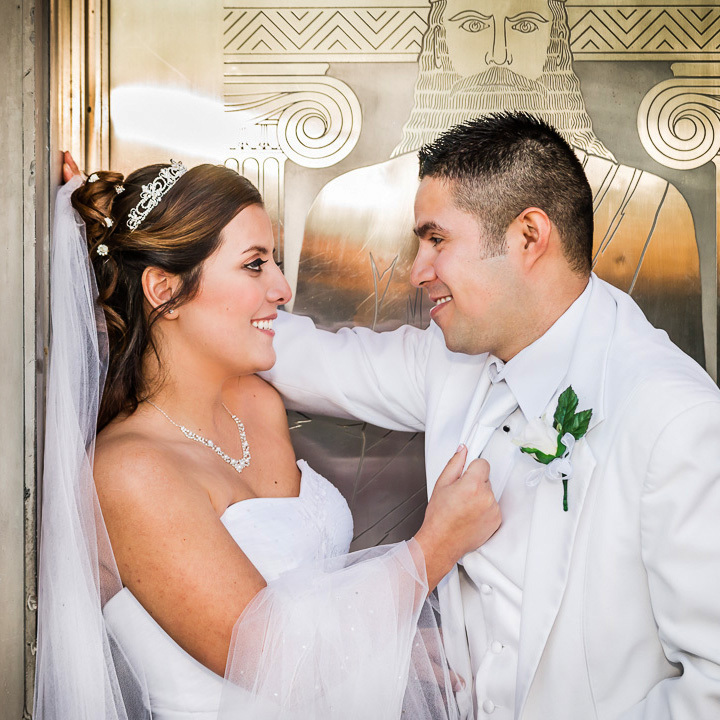 Passionate & Creative wedding photography in Dallas-Fort Worth, TX & destination weddings! With us you will get passionate, artistic and emotion-filled photos! We photograph with our heart and soul, we make you feel the moments and the beauty. We believe that great wedding photography and video should touch the lives of people! If creative wedding photography is important to you and your fiance, if you are looking for a pleasurable photographic experience with photos that are both fun, creative and emotional, a combination of candid photos, portraits and albums that will allow you to relive your beautiful day over and over again, that will bring you right back to the moment you said "I do", then professional wedding photographer Igor and his team will love to hear from you today. Our promise to you is that no matter what, every time you look through your photographs, it will be clear that your love, family and happiness are the most important things in life. A Fun engagement session before the big day! Our Engagement Photography Sessions are fun, casual and a great way to get to know us. This is the first step in your legacy as a couple that are preparing for a lifelong journey . All brides deserve beautiful bridal photos! Our Bridal Photography Sessions will get you artistic and beautiful portraits in a relaxed setting. This is your best chance to get those unique photos that you want and deserve. From preparation to ceremony & reception! Our Creative Wedding Photography Coverage is a blend of formal portraits, candid shots and journalistic story telling, all captured by award winning & professional wedding photographers. Fort Worth Wedding photographer Igor is an expert in creative, emotional and artistic wedding photography in Dallas, telling your love story from the engagement session, bridal portrait session, the ceremony and until you leave your reception incredibly happy. Igor is a fully committed artist that will not only capture your story and candid moments, but he will also create fine art photos that are romantic and passionate, that you are going to be very proud of and wanna display as wall art. His studio designs beautiful fine art albums that you are going to love to share with family and future generations. It's an artful and fun experience to be photographed by Igor and his experienced team! We think that life is full of ordinary, so let's break the mold and celebrate and capture your love in the most epic way! During your wedding day we will capture a wide range of subjects, such as the details, the preparation, group portraits, candid photos and most importantly the emotions of you, your loved one, your family and friends. With over 10 years experience and over 100 weddings covered we can offer you the peace of mind of knowing that your are in very good hands. Typically we would schedule an Engagement Photography Session a few months before the big day to get those relaxed, personal portraits and candid photos that describes your personality the very best. This is also a terrific time to get to know your wedding photographer, to "break the ice" and to see how easy-going your professional wedding photographer is. We provide free and silly jokes! The fun engagement photos are great for displaying during the reception as either a large framed or canvas print and/or guest book, and they are also excellent for your invitations. We love artistic bridal photography and so will you! Every bride should get a Fine Art Bridal Session before her wedding day, this is the time for you to shine and to become a "model/rock star" for a few hours. It's all about having a great time and getting the most beautiful photos of you and your wedding gown. We are very confident that your bridal portraits will be cherished by your future husband, your kids and by many generations to come. You are the brdie and it's time to shine! On the wedding day we like to start out early with the coverage and capture the Getting Ready Photos of both the Bride, Bridesmaids, Groom and Groomsmen, and also Wedding Details/Decor. Just before the ceremony is often when you get some of the most precious and spontaneous photos, such as the bride with her father and the groom with his mother moments. This is also the time to get a few bridal portraits and maybe some "love letter exchange" or "first look" photos. The Wedding Ceremony is always meticulously covered in detail, no important moments are to be missed. After the ceremony we usually group together the family, bridal party and close friends for the Wedding Group Portraits. Immediately after the group portraits is the best time for a short and romantic "Bride and Groom Photo Session", this is when we get those romantic and creative photos that IGOR Photography is known for. During the Wedding Reception we will get some of our signature funny and original party photos that will add to your story, that shows the joy and dance moves of your epic celebration, we will artistically photograph all the best moments until you leave hand in hand during the send-off. Congratulations you just got some stunning photos and video, now relax and enjoy your honeymoon, and soon after you will relive your epic day with your Wedding Album and prints. We also offer Wedding Video in Dallas & Fort Worth! You can book us for both wedding video and photography! If you add our wedding cinematography coverage to our our wedding photography collections you will receive fantastic savings, the convenience of a "one-stop shop" and the peace of mind that we got you covered! We want to provide you with the best DFW wedding photography services that are available for you and your fiance, whether your wedding is in Dallas, Fort Worth or a destination wedding. You deserve the most beautiful and unique photos paired with the best service. Let's schedule a free consultation so you can see how we are different from other professional Dallas wedding photographers, how we approach our craft, our personality, and values. After all, your Dallas wedding photographer is the vendor that you will spend the most time with, so you definitely need to be comfortable around him/her. Your love story deserves the very best in Dallas wedding photography, contact us today to schedule a Free consultation in our studio, the Champagne is chilled and waiting for you! Dallas wedding photographer Igor is passionately striving to deliver an experience that exceeds your expectation every time. He provides attention to your needs, helping everyone feel at ease while being able to create exceptional imagery. His personality is warm, friendly, unassuming and he possesses a true commitment to his craft which is translated through his photographs. Igor's original vision is artistic and emotional, he photographs with his heart. Each wedding is different and requires its own photographic approach. What remains the same is how professionally Igor and his team take their assignments and the responsibility that they carry to produce stunning DFW wedding photography. Constantly moving and always in search for the best angles, moments and light. Igor is not afraid to get dirty or to get a good work out while preserving your memories in his romantic and creative style. Igor enjoys life as much as work. He finds humor and joy in the most mundane daily moments and has a unique ability to capture those candid and funny instances that passes by so quick. If you choose Igor and his team for your event be prepared to get unexpectedly candid and funny photographs, don't be shy or embarrassed, when any comic or humorous moment presents itself, you will hear "click". Give yourself peace of mind by hiring an experienced, award winning and trusted Dallas wedding photographer! You unique story deserves it!